Residential - Single Family - Lower Matecumbe, FL This ocean front property entails spectacular views of the Atlantic Ocean and Alligator Lighthouse. Located at the end of a quiet, dead-end street in beautiful Lower Matecumbe. The serene backyard of the property offers copious space for a pool and outdoor entertaining. This home offers a relaxing observation deck as well as a kayak launch area. Comprising two bedrooms and two bathrooms upstairs, this home also entails a guest quarters downstairs for desired privacy. 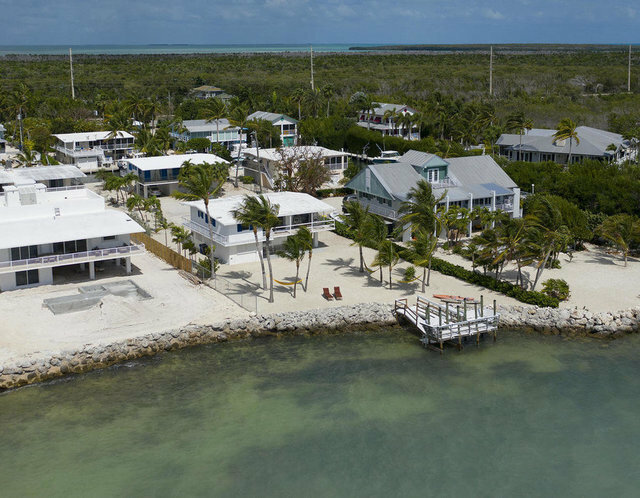 This concrete home includes a garage to store all the needed toys to enjoy & explore the ideal Florida Keys lifestyle on the beautiful island.